Even kitchen appliances have diabetes on the mind, it seems. One evening recently, my CGM sensor died. Time to start a new one... But I didn't want to. So, I procrastinated. Did whatever, and soon enough decided to have some some leftover coffee. Grabbed a coffee cup from the cupboard and poured some cold coffee into it, then proceeded to heat up said cup of java in the microwave. 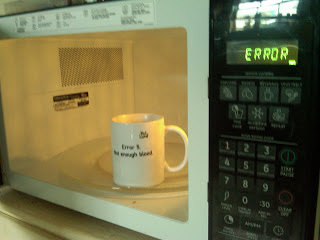 When heating up my coffee, in a BluntLancet mug displaying the "Error 5 - Not Enough Blood" message. Apparently, the microwave knew I needed to change my CGM sensor. So it told me so with a message of its own: "Sensor Error." I glared at it. "Who told YOU?!?!" I demanded. The microwave didn't respond. A cold, judgmental staring contest ensued. Slammed the microwave door shut, to teach it a lesson. 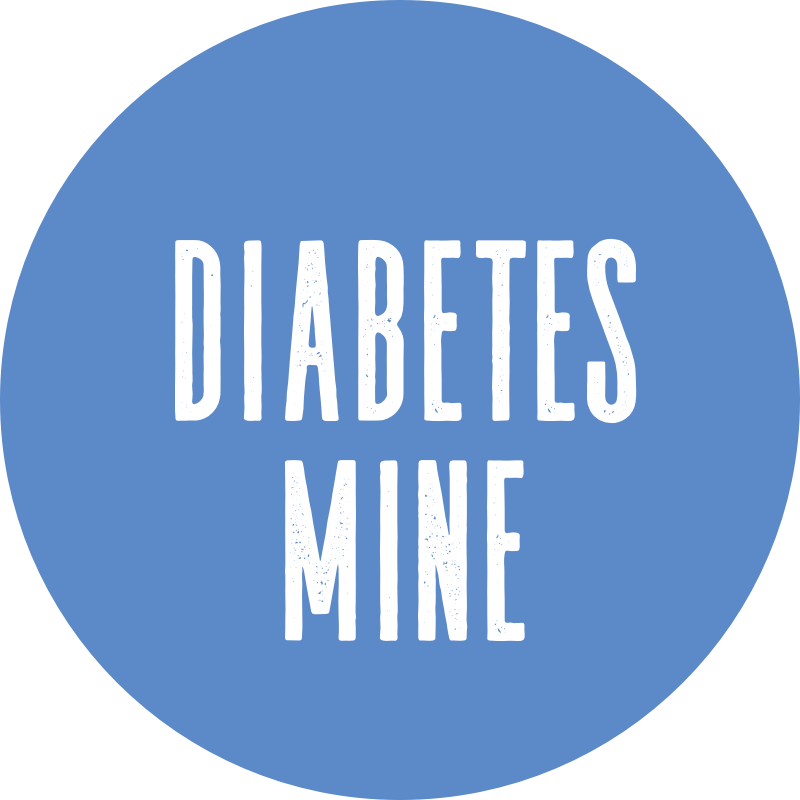 Diabetes is everywhere. Even the coffee cups and kitchen appliances think so. All the devices must be communicating! That's so funny! That's hilarious, it IS everywhere isn't it?!?!? LOVE that mug by the way!!! Oh my goodness, so funny! Did you listen to your microwave and change your sensor?? I saw on Wendy's blog that you wanted to read the post by the nurse that worked at the D-camp. 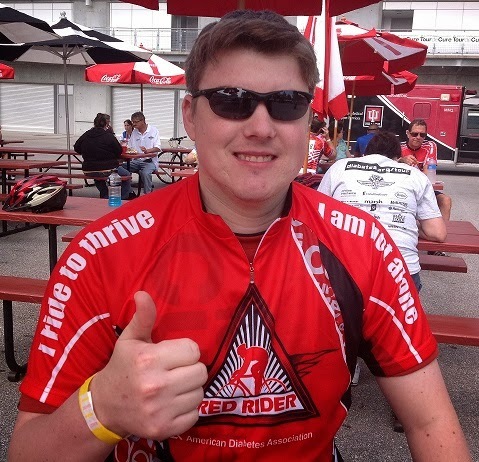 My husband was able to find it cached and sent it to my email. I could forward it to you if you still want it, just email me through my blog. 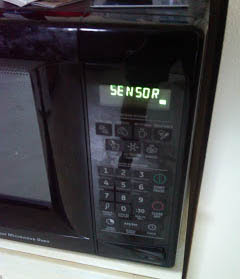 omg your microwave totally said sensor error! that is cracking me up!! WOW! Now that teaches you a lesson, be reminded that next "Mr. Error" shows up on your oven again make sure to fix it the soonest time possible. This way, the glaring contest between you and your microwave will never happen again. This sure is a funny experience for you pal!